QoinPro is an online crypto currency wallet that was incorporated on 21st February 2014 in Hong Kong. The online wallet functionality launched on 1st September 2014. 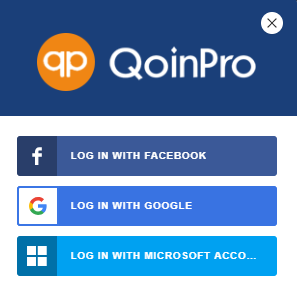 Every signed up user of QoinPro earns a little bit of crypto currency every day. To create an account simply click on one of the icons and you are ready to start accumulating free coins! How do users earn rewards? To stay up to date with the current rewards login and go to rewards. Here you will see Daily Coins, Daily Interest and Airdrops. It is all self-explanatory in those menus what rewards are available. Using bitcoin (“BTC”) as an example, a new user would earn 0.0000000286 BTC per day. 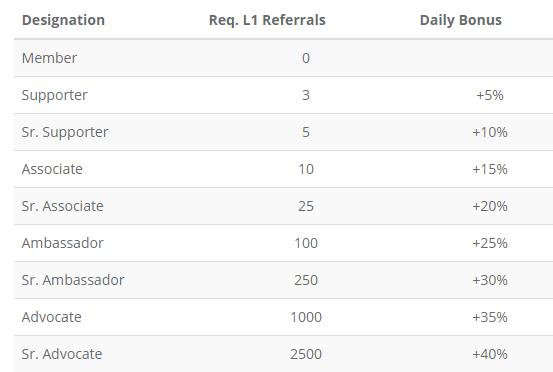 If they introduce new users with their referral link, then their bonus will increase and therefore the daily amount will also. The more people you refer the higher bonus you will receive. For example, I set up a new account and refer 105 people. The reality is, by referring 105 people they have referred more people with their referral link and then I would also receive level 2 bonuses and so on, up to 5 levels but by this stage the bonus calculations become complex so I will leave that for a more comprehensive review. 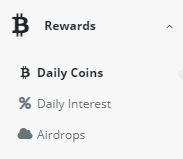 The daily rewards are shown on each coin at the end of the transaction history as one entry with the text “Combined daily free coins until DD MMM YYYY”, you will not see a transaction for each day. The second method of earning rewards is by depositing any amount in a specific wallet, your balance will then start receiving 0.105% in the relevant crypto on a daily basis with interest compounding. For example, I transfer 10 BTC to my QoinPro wallet. There are options to increase rewards within the app. The Android app is currently being refactored and a beta version is available in the Play Store, so it does not synchronise with the desktop wallet. Development is ongoing and all bugs should be resolved in Q2 which will synchronise all records. What wallets are available? How do users deposit? Currently there are a total of 14 different coins (BCH, BTC, BTG, DASH, DGC, DOGE, ETH, FTC, LTC, NXS, OHAS, PLAN, PPC and UBTC) for which you can utilise the wallet. To deposit a coin, go to all balances, click details on the relevant coin, generate new [coin] address and transfer to that address. Please ensure you generate a new address for security reasons. Please check the ‘wallet status’ once you have logged in, before depositing on case they are undergoing maintenance. A new automated function has been launched recently which allows users to go to new transactions, follow the on-screen instructions and input their withdrawal. 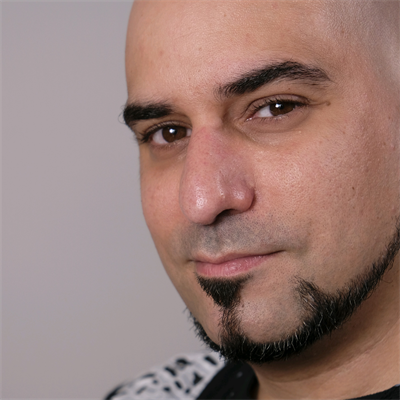 Currently limits are low for security reasons as checks are still conducted by QoinPro.